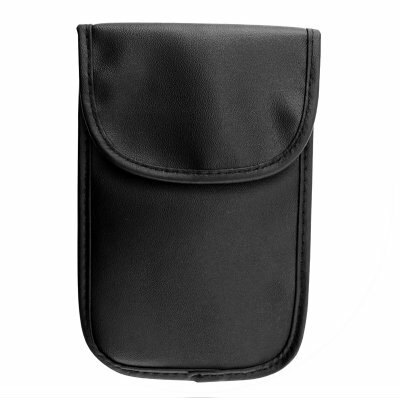 Successfully Added Mobile Phone Blocking Bag to your Shopping Cart. This product is in-stock in our warehouse right now, available to ship right your door immediately! Order some to try for yourself, and after you see how good it works then you will want to order more in bulk to sell on your internet store. This is one hot gadget that your customers will love, so get yours now! i tried this product and it's verry good so i nead more from this product so can any one help me to get more ???????????????? on 2008-01-23 11:39:52 Like a Lead wall! I have not tried this product, but from the description, it seems like a faraday cage, this will also protect from identity theft and card information being stolen (new credit cards that contain RFID tags, like speedpass keychain things at speedway. some people go around town with small RFID tag readers and scan wallets and purses.) if this is built on the faraday cage concept, it will block ANY radio wave, like a lead wall. if i had the money, or anything to guard with this, i would buy this in a heartbeat! references- faraday cage- mythbusters episode. RFID identity theft- Popular science magazine. This product needs to be used now, because the signals from cellphones are being used to track people, without there knowledge. This product would sale will for privacy.